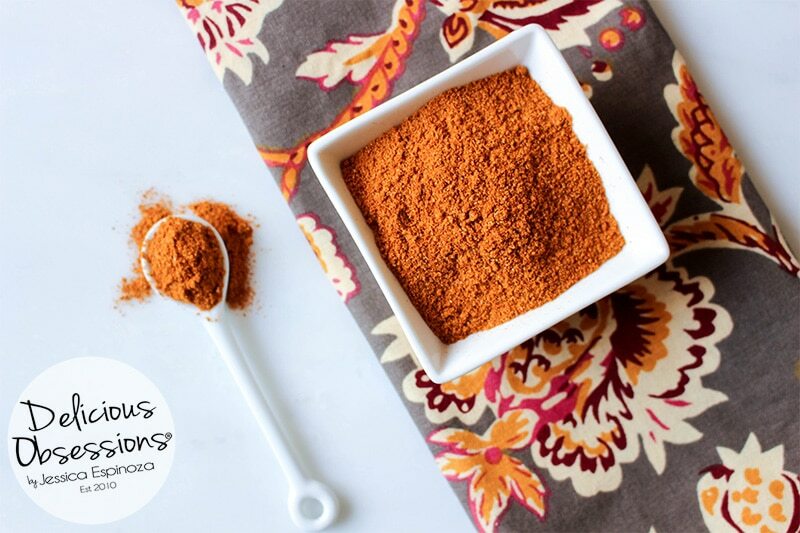 This Tandoori-Style Spice Blend is a must-have spice blend for your pantry. Layers of flavors with depths not found in most other blends. 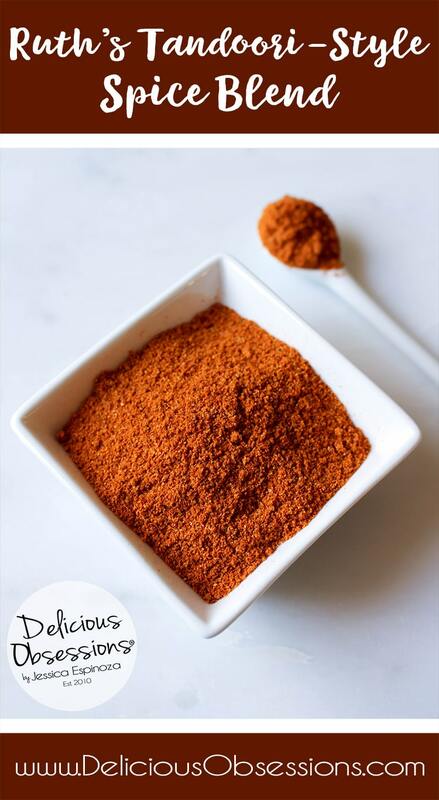 This rich Tandoori-Style Spice Blend is the perfect seasoning for almost anything, including fish, beef, poultry, and vegetables. I don’t think anything makes me happier than being able to share one of my mother’s recipes on this site and this Tandoori-Style Spice Blend is no exception. My mom has been such an inspiration to me my entire life and I owe my love a food and skills in the kitchen to her. Her influence is the reason that I am doing the work I am on this blog and also as a health coach. I have been helping my mom in the kitchen pretty much from the time I was born. I keep forgetting to ask her if she kept me in the kitchen with her in a carrier or car seat when she was cooking when I was a teeny baby. But, I do know that as soon as I was old enough to stand on a chair and peer over the counter, I would be assisting her in cooking and baking. I absolutely loved being in the kitchen and spending time with my mom around food. Some of my fondest memories come from her kitchen. She had a shelf full of cookbooks in her pantry and I would scour those almost every, daydreaming about all the things I’d make. I found so much joy in looking through her cookbooks and reading page after page of recipes and instructions. Creating and experimenting with recipes was so fun and exciting to me. I learned to adapt recipes from a very early age and that is what helped me gain the confidence to create my own recipes later on. Without her early influence, I would probably have never started a food blog! Many people don’t know that I was homeschooled up until 6th grade, which allowed me to spend as much time in the kitchen as I wanted. In that space, I learned so much about life, including skills that would serve me the rest of my life. I learned math and chemistry by creating delicious food and adapting recipes. I’m pretty sure that not all of my creations were delicious, but for the most part, I think I had a pretty good track record. By the time I was six or seven, my mom was trusting me to cook and bake on my own. That might seem shocking to some, but I was quite competent in the kitchen and I was also very careful so she didn’t have to worry about me hurting myself or burning down the house. This early involvement in food preparation and cooking really spurred my love of food and recipes. I am so very thankful for that experience. It taught me so much about business, customer service, and cooking. Not to mention the amazing friendships that were created standing on that line on a busy Saturday night. There’s a certain camaraderie that evolves in a kitchen setting, unlike any other place that I’ve ever worked. If you have worked in a restaurant, specifically a kitchen, you understand. There are times, even now, that I really miss working in a restaurant. Now, back to my mama and her amazing Tandoori-Style Spice Blend. I’m so excited to share this recipe with you guys today. This has quickly turned into one of my favorite spice blends. My mom created this recipe a few years back and it’s been a regular in the rotation ever since. 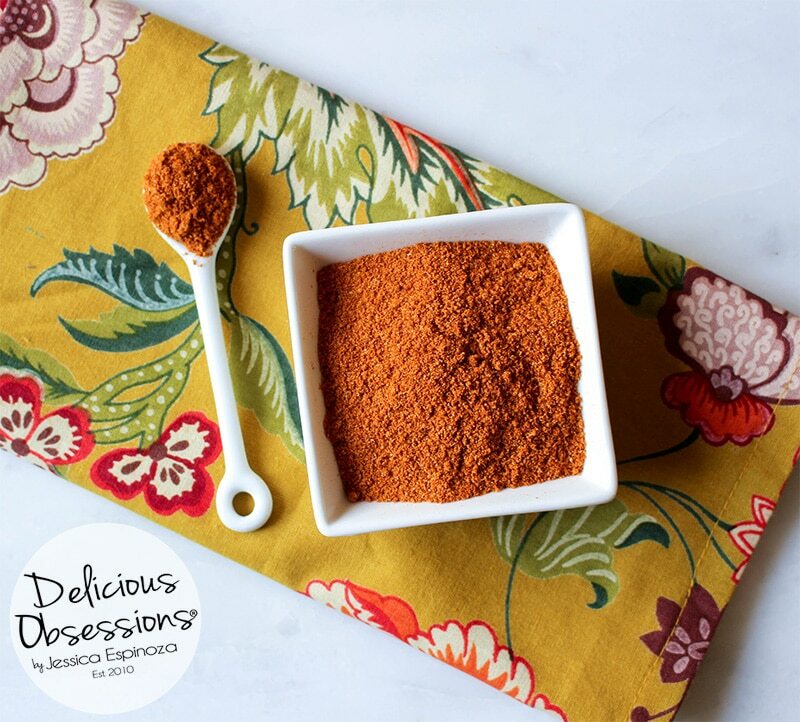 The first time I ever tried her Tandoori-Style Spice Blend I fell in love and knew I had to share it with you. It’s so full of flavor, with all sorts of layers and depth. Another thing that’s really awesome is how versatile it is. I have used this Tandoori-Style Spice Blend on chicken, fish, steak, vegetables, potatoes, even rice. I bet it would taste good on eggs…hmm… I’m going to have to try that. I love making my own spice blends at home because it lets me really create a blend that suits my taste. While you are able to buy almost every spice blend pre-made in the store, making your own really allows you to customize it to suit your specific tastes. That’s exactly how this recipe develops with my mom. She kept playing around with it and adjusting the proportions until she got something that she and my dad both really liked. Homemade Spice Blends as Gifts! You could person it up and cute little jars (like these adorable jars or these cute jars) with a ribbon and a tag (like these cute tags). Add an easy recipe using the spice blend and share the love with those who are special to you. Now, let’s dive into my mama Ruth’s Tandoori-Style Spice Blend! I can’t wait to hear what you think about this recipe! After you try it let me know in the comments what you used it on and how it tasted. Place all of the spices in a bowl or jar and stir/shake to combine. Store in an air-tight container out of direct light and away from heat. Use on fish, chicken, turkey, beef, vegetables, or whatever tickles your taste buds.